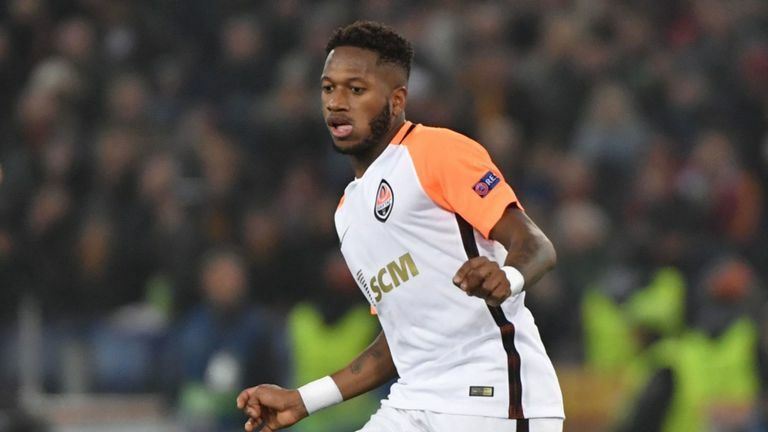 Shakhtar Donetsk midfielder Fred is reportedly the subject of interest from Manchester City boss Pep Guardiola but Jose Mourinho is confident to pip him to the signature. The Brazil international is set to move to Premier League this summer – with City and United both scrapping it out for the 25-year-old midfielder, who impressed in the Champions League this season. The Red Devils have come in strongly for the playmaker as Mourinho looks to strengthen his midfield options. The Citizens made enquiries about Fred in January and have been strongly linked with a summer move for the Brazilian star as Guardiola looks to bolster his squad with competition and back up for Fernandinho. Shakhtar’s valuation could likely to go over £50m and the Sky Blues have already made it clear they will not pay in excess what they see as a fair valuation. Meanwhile, Manchester United, are very much in the market and the Portuguese boss has made it clear he wants to splash big again to challenge arch-rivals City next season.